Small, upright, slow growing evergreen tree, conifer (H 4-5 m, W 1,5-2 m). Crown broadly vase-shaped, irregular, picturesque. Branches wide open to horizontal, young shoots drooping. Bark red-brown to dark brown, flaky. Young shoots green, later red-brown. Needles wide, flat (2-3 cm), variegated, dark green with wide yellow margin, underneath green-yellow. Flowers unisexual, female only, green; a female variety. Flowering period: March-April. Fruits ovate (0,5-0,8 cm), fleshy, juicy, light red. Ripening time: August-October. Very long-lived, healthy and adaptable species. Requires fertile, sufficiently drained, moderately moist soils. 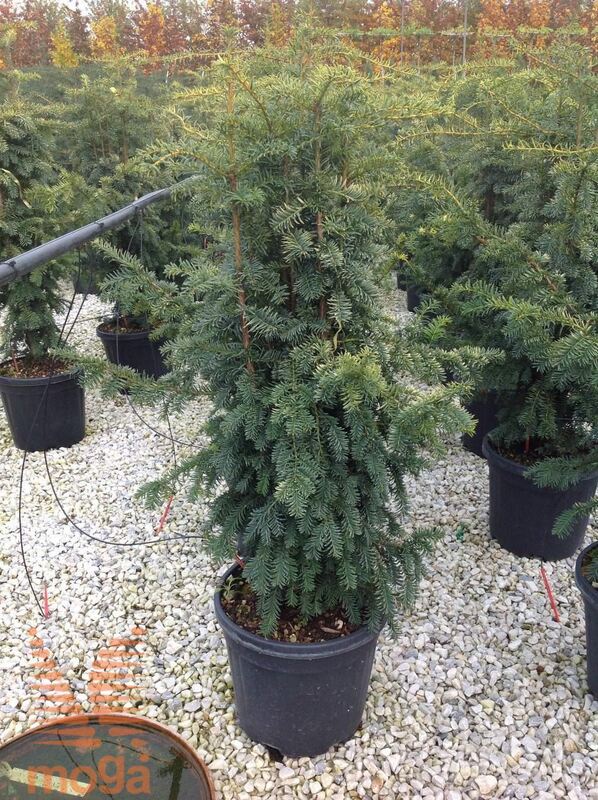 Easily withstands cold, occasional drought, wind, poor soils, urban conditions and hard pruning. Tisa kot živa meja - Taxus sp. Woody plant, normally with a remarkable tree trunk and a tree top. May have several stems - multistemmed tree. The tree top may be of different shapes, dense or thin, symetric or uneven. Most trees reach a height of more than 3 metres. Plants from this group grow equally good in different positions, regardless of solar radiation. Usually they need more moisture in sunny than in shady undergorwth and they can bloom more exuberant.